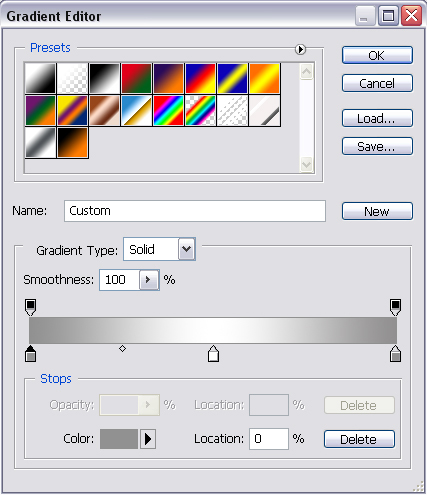 On a new layer make a thing rectangle selection and fill this box with grey (c6c6c6). 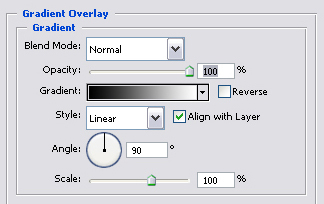 For the Grey rectangle, open your ‘Blending Options‘ and add Drop Shadow. 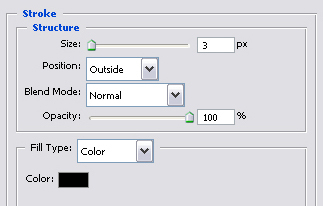 On another new layer draw a 7 pixel thick line across the canvas. 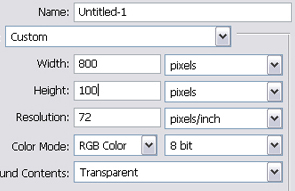 Add text for your link in White (#FFFFFF). I chose the font ‘Vogel‘. 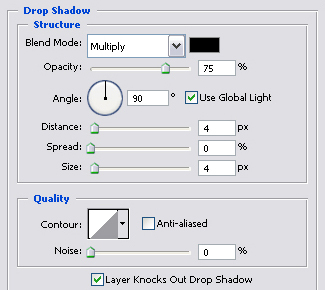 Go to the Blending Options for your text and add a Stroke. 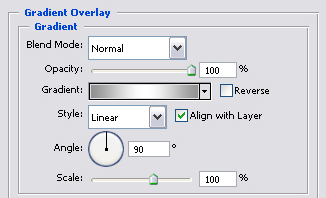 Add a Gradient to your text.